Self-regulator Finra has barred a former Merrill Lynch broker fired for allegedly circumventing the wirehouse’s internal controls on the amount of a certain type of mutual fund shares in client accounts, the industry organization says. From December 2015 to April 2016, Bhenoy Dembla allegedly entered and then canceled 41 bogus mutual fund sell orders in an attempt to get around the $100,000 cap put in place by Merrill Lynch on the amount of Class B mutual fund shares permissible in a household’s account, according to a letter of acceptance, waiver and consent published by Finra. The cap had been put in place due to the 12b-1 distribution fees and contingent deferred sales charges in Class B shares, which are higher than in other share classes, the regulator says. Dembla’s actions allegedly caused the accounts of 18 customers to exceed the limit by a combined total of $863,000, according to Finra. In addition, Dembla allegedly made false entries in Merrill Lynch’s databases about the reasons his clients wanted to sell the Class B shares, Finra says. Dembla consented to the bar without admitting or denying Finra’s findings, according to the letter of acceptance. 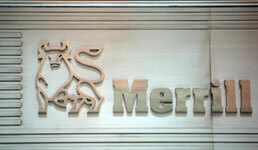 Merrill Lynch, meanwhile, has already paid back $31,801 in restitution to affected clients, Finra says. Dembla spent his entire 15-year career in the financial services industry with Merrill Lynch, according to his BrokerCheck profile. The wirehouse discharged him in August 2016 following allegations of circumventing its “limitations on the accumulation of mutual fund shares in customer accounts resulting in a loss of management’s confidence,” according to BrokerCheck. Dembla never registered with another firm, Finra says. He has four customer disputes on his record as well, from 2016 and 2017, all settled, according to his profile.